Yaaay! It's November and fall is in full swing here in the South...at last! Sooo...can my favorite holiday be far behind? That's right...it's almost Thanksgiving! Are you ready? If not, I have some inspiration for you! 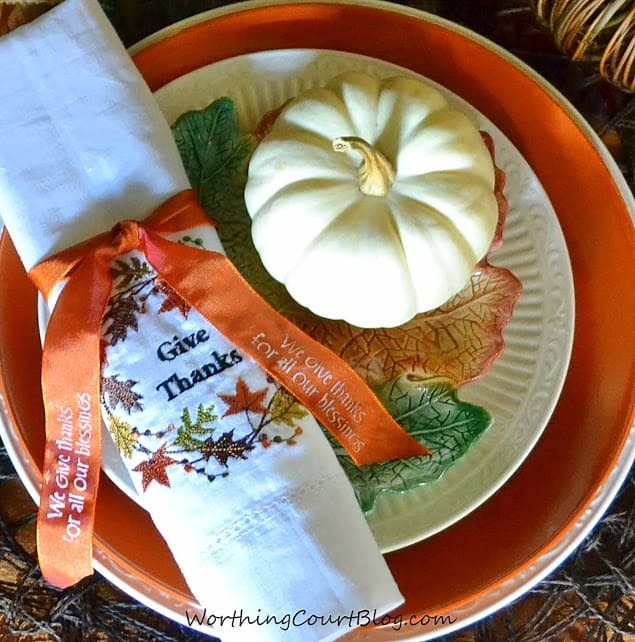 I have gone through my favorite Thanksgiving tablescapes from years past and I am sharing them here on my blog...just a few ideas to help you get started if you need to. As for me, I have something in mind for this year and I am going to start trying it out on my table this week...so stay tuned! But for now...let's get this party started! Hi everyone! Thank you for taking time out of your busy schedule to come party with us at The Scoop this week. Now that Halloween is over, I guess we're all focusing on Thanksgiving. It will be here before you know it! If you're as busy as I am, you may be looking for some quick ideas for your Thanksgiving table. These napkin rings are really cute and couldn't be easier to make. They're uber affordable too. Click HERE to see how I made them. 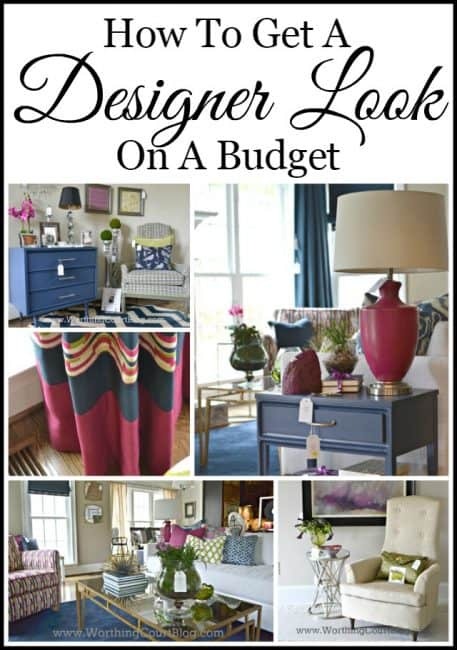 And just in case you missed it, I showed you How to Get a Designer Look on a Budget last week. If you have to work within a budget like I do, you'll get lots of ideas from the designers for the Chic Chateau showhouse. Check out some of these links that caught my eye from last week's party. Okay - yum and yum. Anyone who knows me knows that ice cream is my weakness. 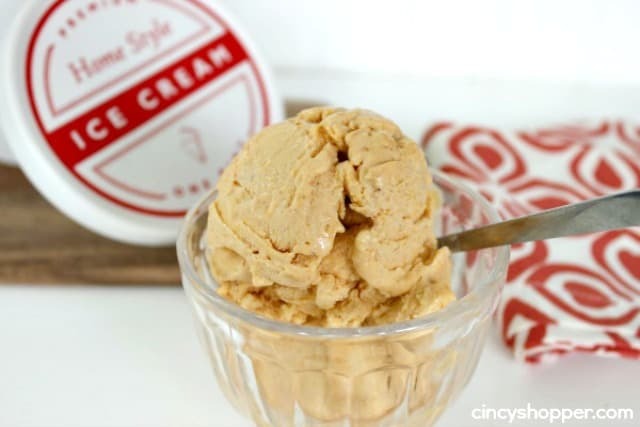 I'll definitely be making some of this Pumpkin Pie Ice Cream from Cincy Shopper. 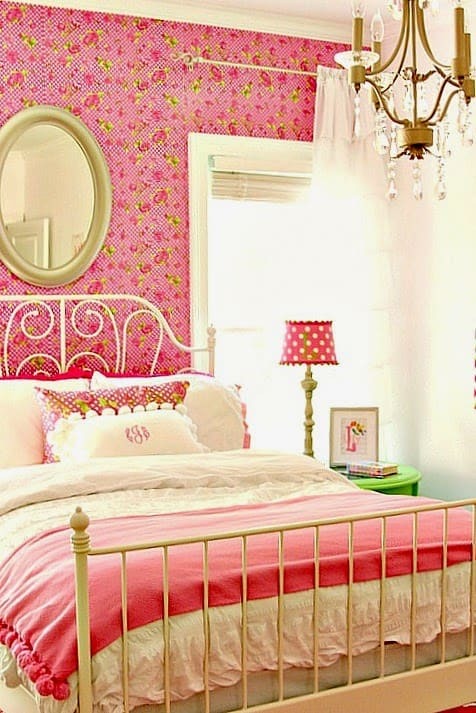 I want to be eight years old again so that I can live in Lily's Pink Bedroom done by Laura from Top This Top That. Back in the day, everyone coveted the ginormous spools that held large amounts of wire. We all wanted to use them for a table. That is so then. 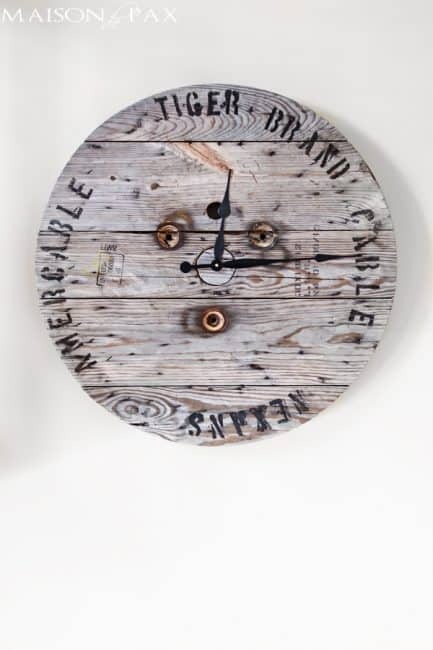 I'll be on the lookout for one now so that I can make a cool Industrial Spool Clock like Rachel from Maison de Pax did. Have a little spot on your walls that needs a little something-something? 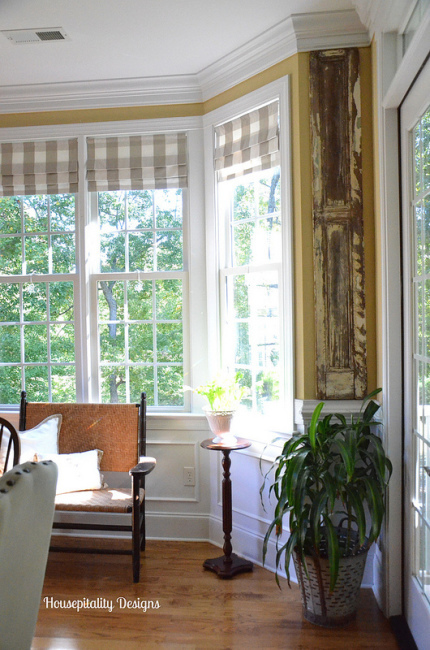 A pair of Chippy Shutters adds just the right Architectural Element to Shirley from Housepitality Designs' dining room. You may think that this wreath was purchased ready-made, but it isn't. 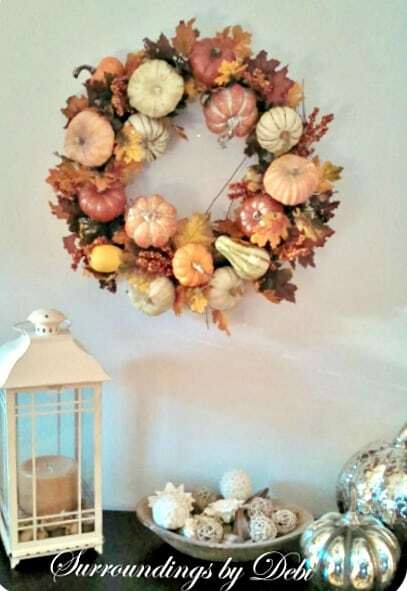 Check out how Surroundings By Debi gathered supplies and made a Pottery Barn Inspired Harvest Wreath. Thank each and every one of you for linking up and visiting every week! This wouldn't be such a great place to party without all of you. I'm gonna see your past Tksgiving tables. Thanks for hosting. 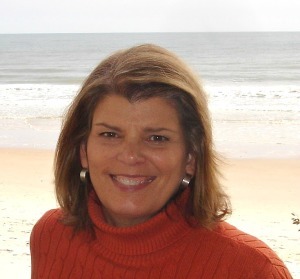 Thank you Debbie for being such a gracious hostess! Best wishes for an extraordinary November!! All of your tablescapes are beautiful and inspiring!